Before going to jump into rooting and twrp recovery installation guide, it’s must to know that Redmi S2 & Redmi Y2 both are same devices. Global released Redmi S2 also known as Redmi y2 for Indian market. So twrp recovery for Redmi Y2 & Redmi S2 is same. In the same way, twrp file, root files and root procedure are also same for both devices [Xiaomi Redmi S2 & Redmi Y2]. Xiaomi’s Redmi S2/Redmi Y2 is a budget level smartphone for all Xiaomi lovers. At first Xiaomi launched Redmi S2 as Redmi Y2 in Indian market and then released it as Redmi S2 for Global market. On the floor, Redmi S2 despite the competition from Xiaomi’s own budget king set of devices in Redmi 5. But good news for all redmi S2 MIUI 10 smartphone users who wants to root Redmi S2 MIUI10 for modification and customization. TWRP recovery for Xiaomi Redmi S2 & Redmi Y2 is available for download and flashing. That means, you can root Redmi S2 MIUI 10 by using TWRP recovery. Users may use this TWRP recovery installation and rooting guide for both Redmi Y2 & Redmi S2 Mobile. As we already told you, Redmi Y2 & Redmi S2 both are same devices. 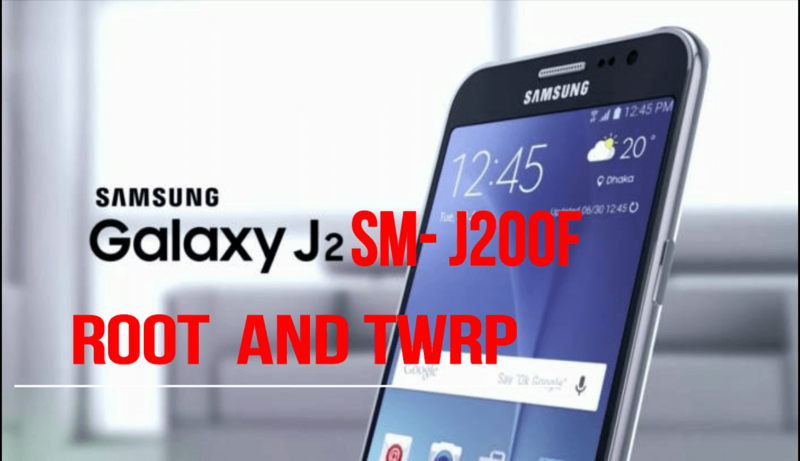 So rooting and twrp recovery installation process are completely same. This Redmi S2 root method is successfully tested on Redmi S2 MIUI 10. Otherwise, you may also apply it on Redmi S2 MIUI 9 too. To make it easy to understand we are splitting the complete steps into three different sections. 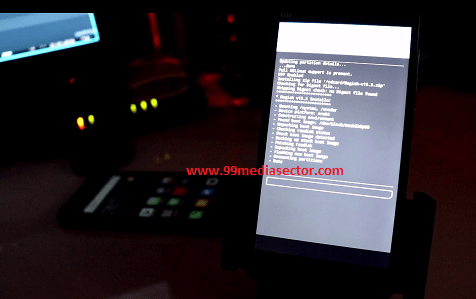 First you have to unlock boot loader of Redmi S2 mobile. Once you have bootloader unlocked Redmi S2, you are free to flash custom TWRP recovery on Redmi S2. Finally flash or install “magisk Root Package” on Redmi S2 using TWRP recovery to get full root access. 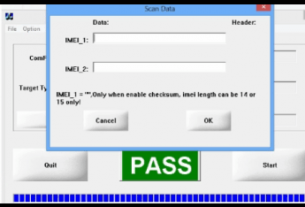 Bootloader unlocking is most important part of this tutorial. Because, you can’t apply any changes on the device without having bootloader unlocked Redmi S2 mobile. 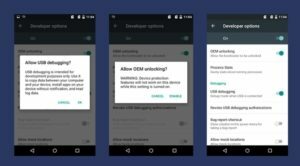 So it must be your fist step in order to root Redmi S2 phone. 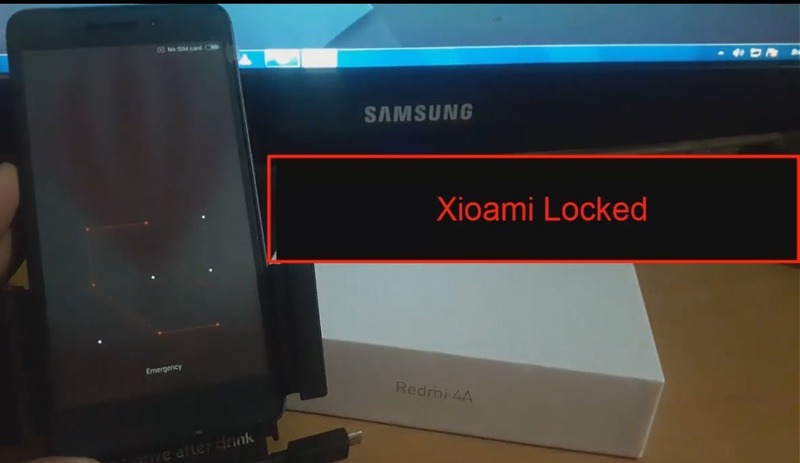 Bootloader unlocking process is an universal method for all Xiaomi / Redmi devices. Go to below guide and unlock Redmi S2 bootloader. Once you have bootloader unlocked device in your hand, continue the process and flash TWRP recovery on the device. TWRP recovery installation will replace stock recovery on Redmi S2. It’s required because, you can’t flash Magisk Root file or any other files without twrp recovery. Follow the below steps one by one and install twrp recovery on Redmi S2 safely. Download TWRP recovery image file, DM verify disabler file, root package zip file and Minimal adb & fastboot tool on pc. Now copy and transfer the downloaded files [TWRP, DM verify, Magisk file] into phone storage. Don’t forget to keep a copy of TWRP IMG file on your PC too. Next, enable USB debugging & OEM unlock on the device. In next step, install “Minimal adb & Fastboot tool” on pc by following below guide. 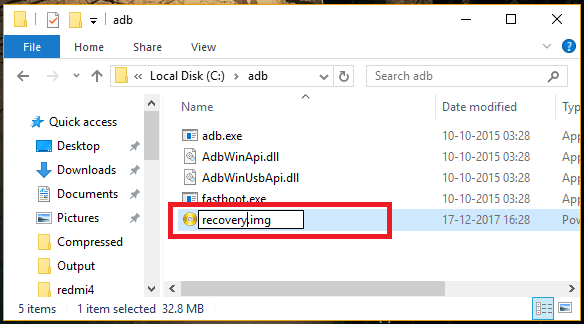 Once you are into adb folder, transfer “TWRP recovery image file” into adb folder and rename it as “recovery.img” file as shown below. 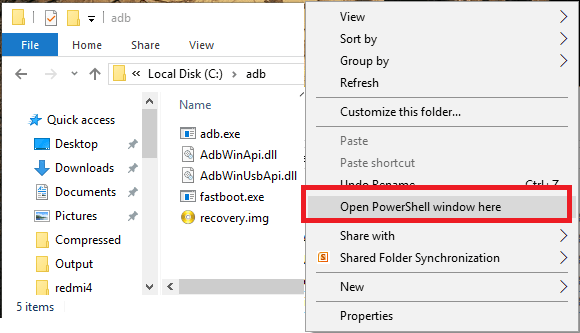 Now click anywhere into adb folder, press & hold “Shift” key + “Right” click >> select “open command window here” or “opn powershell window here” option. It will open a new command window on pc. Come to the device and boot Redmi S2 into fastboot mode. Power Off >> Press & Hold Volume Down key + Power Key together at the same time until you see the bunny logo. 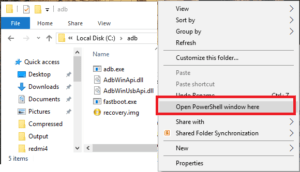 Go to the command window and execute the below command to check if the device is properly connected with pc or not? 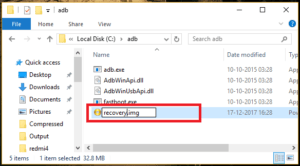 Install TWRP recovery : Again go to command window and run the below command to flash twrp on Redmi s2 mobile. After few seconds, device will boot into recovery and it will ask to select “read only” option or select “Swipe to allow modification” option. Here we recommend you to select “Swipe to allow modification” option. This time you will see the “TWRP recover Menu” on the device. Click on “install” option, browse the “DM verify zip file” and swipe to flash. Only For TWRP Recovery Installation: TWRP recovery installation completed. Now you can reboot the device Reboot >> System >> Donot Install. This is the final step to get toot access on Redmi S2 mobile. In this step we will flash magisk root file using twrp recovery. Connect the device with pc via USB cable and transfer the “Magisk zip” file on device storage. 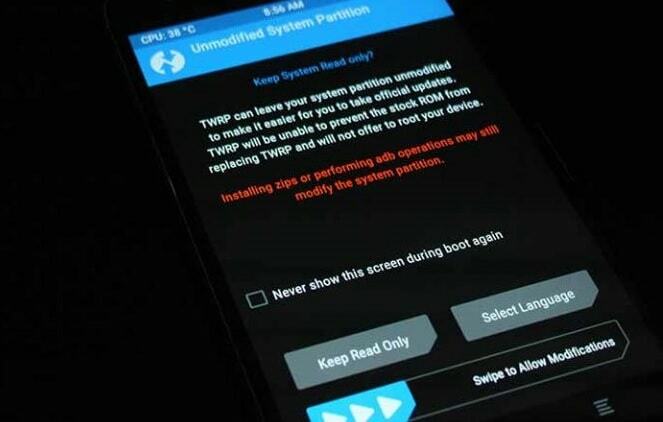 Power off the device and boot it into TWRP recovery manually. Once you are into main menu, click on “Install” >> browse the “magisk.zip” file from storage and flash it. Done!!! Click on “reboot system” to restart the devices. If and when it asks for ‘Install TWRP App?’, tap on ‘Do Not Install‘ button as you don’t need the TWRP app. All done!!! 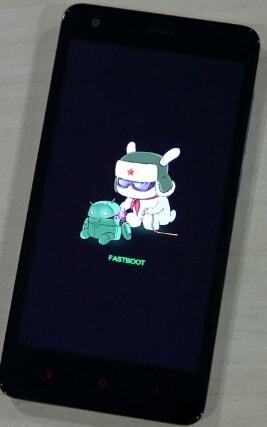 you have full root access on Redmi S2 MIUI 10 mobile. Now download any root checker app from Google play store to verify root access. In this way you can install twrp for Redmi S2 / Redmi y2 and also can root Redmi S2 / redmi y2 safely.